body of a 19th-century cardinal whose cause for sainthood widely is expected to progress soon to beatification. The Ministry of Justice granted a license to allow undertakers to dig up the body of Cardinal John Henry Newman from a grave in a small cemetery in the suburbs of Birmingham, England, and transfer it to a marble sarcophagus in a church in the city, where it can be venerated by pilgrims. The license was expected to arrive Aug. 11, the 118th anniversary of the cardinal’s death in 1890. Approval had been delayed by several months because of a 19th-century law that forbids the transfer of bodies from graves to church tombs. But Sir Suma Chakrabarti, permanent secretary to the Ministry of Justice, finally decided to make a special exception to allow the exhumation to go ahead. Born in London in 1801, Cardinal Newman was an Anglican priest who led the Oxford movement in the 1830s to draw Anglicans to their Catholic roots. He converted to Catholicism at the age of 44 after a succession of clashes with Anglican bishops made him a virtual outcast from the Church of England. For his [Newman] tomb he chose the inscription: Ex umbris et imaginibus in veritatem; and it was clear at the end of his life’s journey that Christ was the truth he had found. But Newman’s search was shot through with pain. Once he had come to that unshakeable sense of the mission entrusted to him by God, he declared: “Therefore, I will trust Him… If I am in sickness, my sickness may serve Him, in perplexity, my perplexity may serve Him… He does nothing in vain… He may take away my friends. He may throw me among strangers. He may make me feel desolate, make my spirits sink, hide the future from me. Still, He knows what He is about” (Meditations and Devotions). All these trials he knew in his life; but rather than diminish or destroy him they paradoxically strengthened his faith in the God who had called him, and confirmed him in the conviction that God “does nothing in vain”. 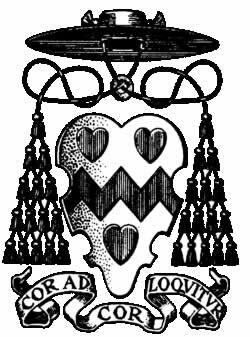 In the end, therefore, what shines forth in Newman is the mystery of the Lord’s Cross: this was the heart of his mission, the absolute truth which he contemplated, the “kindly light” which led him on. 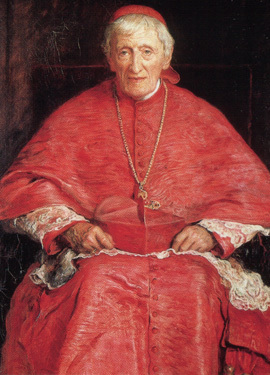 Eternal Father, You led John Henry Newman to follow the kindly light of Truth, and he obediently responded to your heavenly calls at any cost. As writer, preacher, counsellor and educator, as pastor, Oratorian, and servant of the poor he labored to build up your Kingdom. May you manifest your Servant’s power of intercession by even extraordinary answers to the prayers of the faithful throughout the world. We pray particularly for our intentions in his name and in the name of Jesus Christ your Son our Lord. Amen.